Major Break Out Alert!! 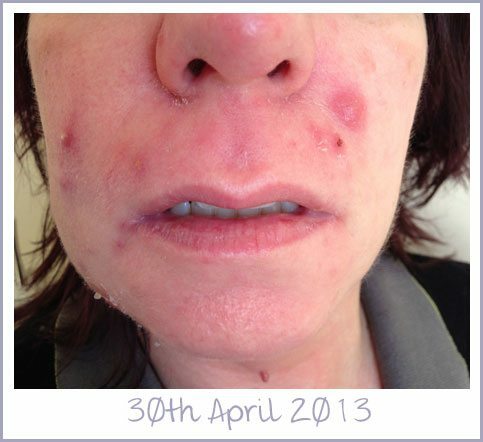 My face is exploding with big nasty cystic spots. They hurt, they are tender and they do not look good. My neck and face are very sensitive to the touch at the moment. The itching on my body is back as well. 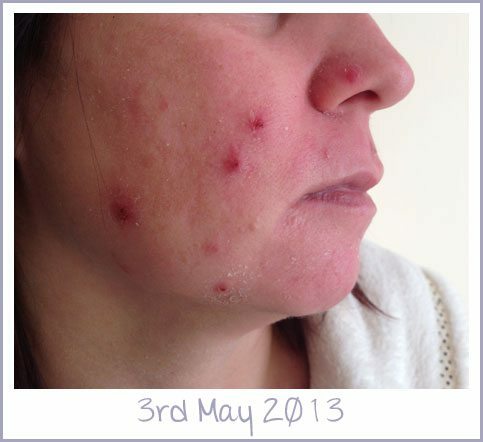 Here’s hoping this is my skin having one last clear out! Have a look at this weeks photos, quite ugly and nasty in my opinion although I’m sure you won’t see them as bad as I can feel them. I am lucky that my boyfriend still thinks I’m pretty and he can see the beauty beneath!!! I know you think that you are winning and trying to beat me in this battle, but I have news for you, I won’t let you win. You can continue to try and stay around but I will sort you out, not just for today, not just for tomorrow, but for the rest of Andrea’s life. So, if you’re not already, be afraid, be very afraid, I’m coming for you and I won’t stop until you’re dead and gone for good! Horror! 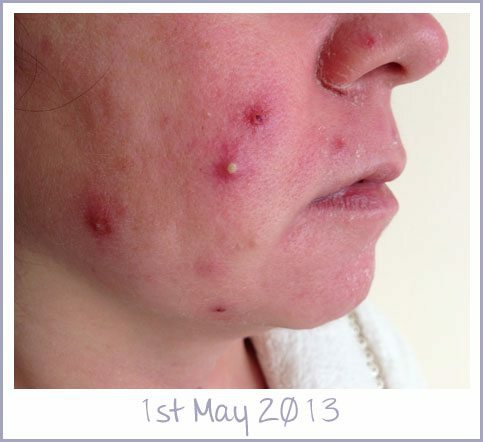 When I woke up today, my face looked awful, acne is definitely active! Today has been the first day that I didn’t want to be seen by anyone and I didn’t leave the house! Left on my own, I was thinking that this wasn’t working and actually getting worse, but luckily my boyfriend was with me both times that I’ve seen my dermatologist. He keeps reminding me that I was told that I would go through a really horrible phase and wonder why I had even started this treatment. I’m sure I am going through that phase now. I did go out today although my face is still a mess. It hasn’t felt as sore and tender as yesterday. It was red, really aggressive, angry looking (and feeling) yesterday and a bit swollen, but today it felt tight because of the dryness this morning. 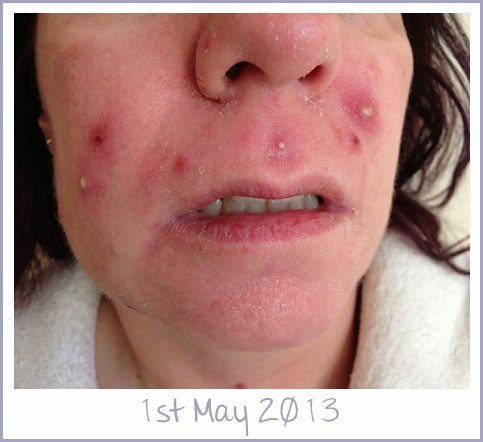 I used the Hydromol ointment to moisturise. I know I don’t look great with that on but vanity has to come second place to easing the soreness. Some of the cysts have filled up again today. 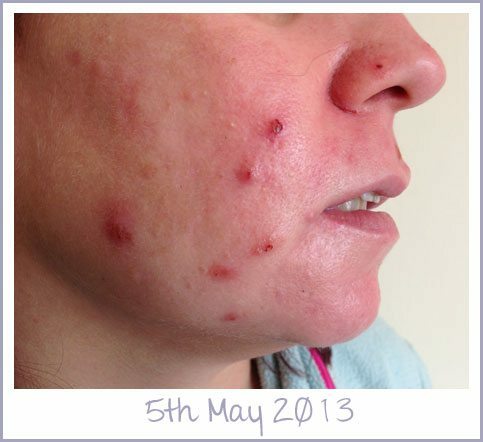 Acne is really insistent but Roaccutane will win! Still feeling self conscious about my face and desperate for the day that I can look and feel pretty again! 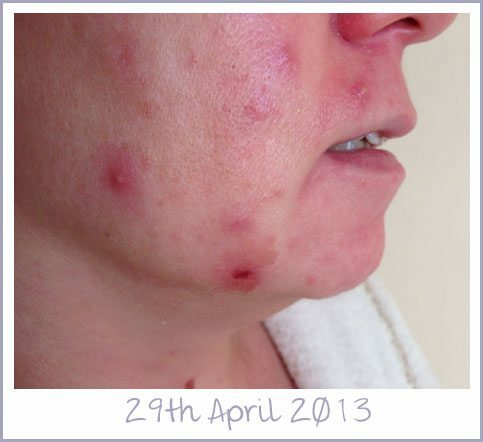 This treatment certainly increases your desire for clear skin! I had a day’s holiday off work today and picked a good one as it was lovely and warm and sunny. I prepared my skin as usual this morning and then added a layer of factor 50 sunblock before heading off out for the day. I forgot to take my little pot of Vaseline with me and did I know about it? I couldn’t smile without it hurting! My lips got so very dry and hurt that all I wanted to do when I got home was sink my lips into my big pot of Vaseline!!! Only one new ugly spot today and the others are starting to dry out now. Lips are drier than normal because of yesterday so double doses of Vaseline required today! 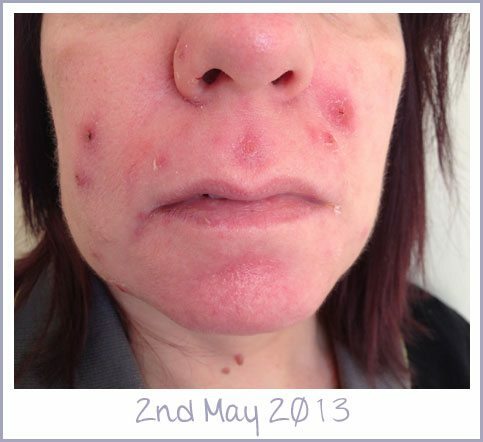 My eyes have been dry last night and this morning too, everything else much the same as the last few days.I have just been looking at my gallery, at the photos of all the stages so far of my Roaccutane Experience. 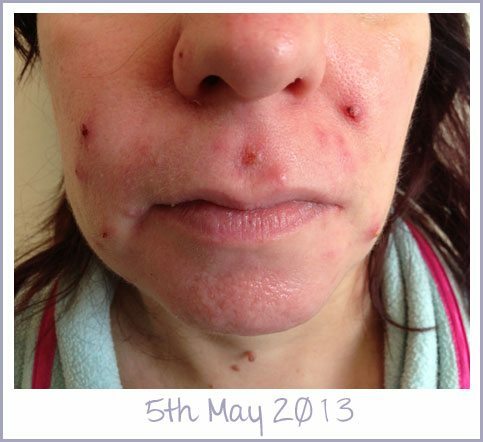 When I got to the bottom of the page I found the picture of me taken at the end of week five and remembered how good I was feeling as the acne was clearing up nicely. A bit different to week eight and nine that I have just been through! 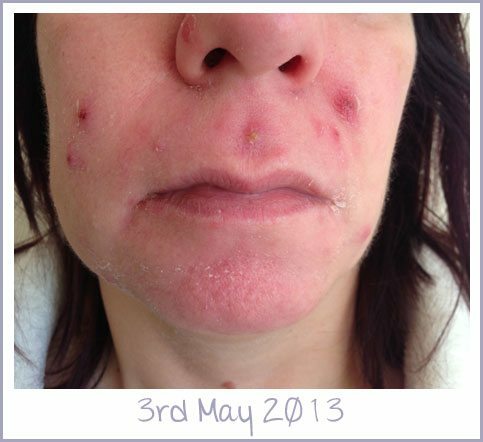 I wasn’t prepared for anything like this although I remember that the dermatologist told me that at around week 4 I would probably have a really nasty break out and would wonder why I was taking the medicine in the first place. I did have a bit of a break out around that time, but I don’t think it was the one he meant. I think the break out he was referring to is the one I have just had as that has been the worst so far and I hope to God the worst it is going to get! Thankfully at the end of week 9 and hoping for a better week 10! 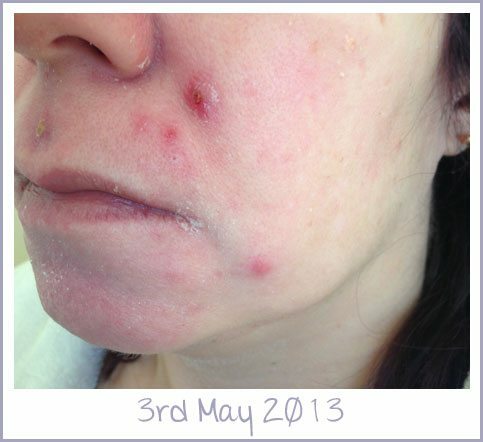 The spots I have had this week have been more cystic and active (and Yuk!) and seem to have been slower at healing than in the early stages of the treatment. Today, I have really realised how much more fragile my skin is. I was putting some flat-packed furniture together today with my boyfriend and I got a carpet burn on the top of my foot from simply kneeling on the carpet! I have been getting the odd few scrapes and grazes on my hands and arms where in normal times the everyday knocks and bangs of life wouldn’t show. My nose has been quite annoying this week from the dryness and crustiness inside being quite sore. The dry crease around my nose did bleed a little. I have suffered with dry eyes quite a lot this week too, I thought at one point it was hay fever, but no of course it wasn’t! I am one week off after 4 months on. My skin is still very dry and very red looking but haven’t had a single spot since Feb!!! Good luck with your treatment! I hope in 4/5 weeks time when the Roaccutane is out of my system my skin will look fab for the first time since I was a kid!! 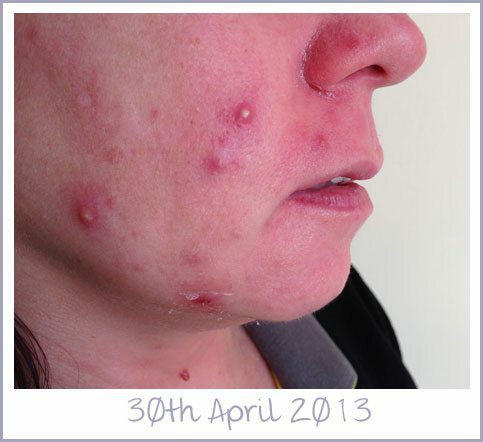 Thank you for your support Lauren, it is very encouraging to hear your positive experience. Bet you feel fab already and it’s only going to get better! I wish I had been more prepared for how bad it would look after coming off!! It’s so red and so dry and looks like spots but not! I hope that this clears soon as its looked so good for weeks! Been outdoors a lot with nice weather so hope this isn’t a permanent thing! 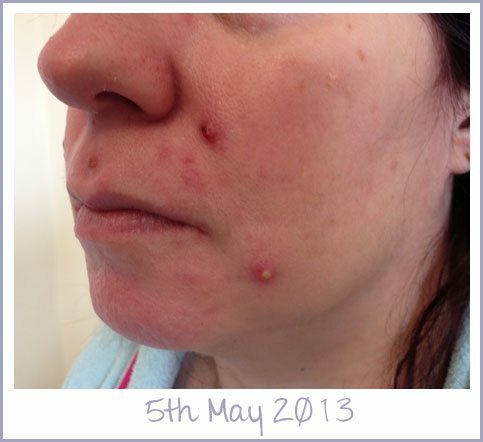 Have my last pregnant test at the end of the month and if not clear I’ll be speaking to the derm! Good luck Lauren, I’m sure once the Roaccutane is out of your system it will all be fine. You’ve come so far already, the end is near. How’s it going post-Roaccutane? 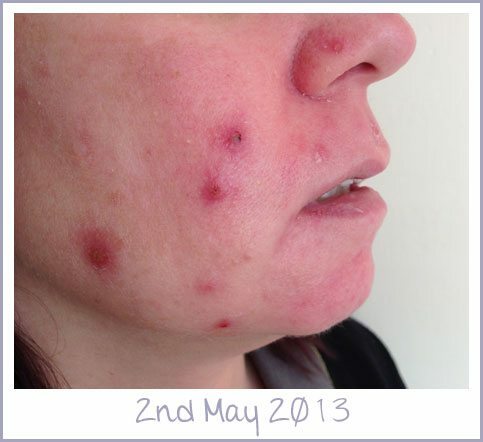 Are you happy with your new skin, has the redness gone now?